Story Review: Click here for book review! Audio Review: I adored this book. Which is probably why I disliked the audiobook so very much. The narrator was far too wimpy for me. One of the best things about Between Shades of Gray is that Lina is so strong. This narrator felt like a scared little girl. Not a scared little girl with a whole lot of fight left in her. Also, the narrator was SOOOOOO SLOOOOW. This took the power from the whole book, not just from Lina. Seriously. I went on a car-ride that was two hours long and when I went to see how far I had gotten in the book it was only about 40 pages. Blah! It felt like it took forever to listen to, while when I was actually reading the pages flew by. So, for all I know I wouldn't feel this way if I had listened before I read. But I would STRONGLY recommend that everyone READ this book, not listen to it. Because it is amazing. 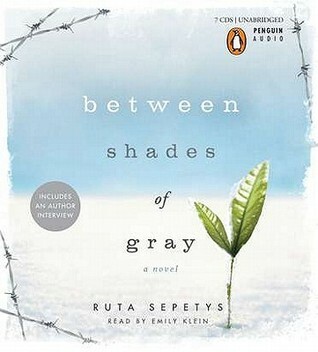 0 Response to "Audio Review: Between Shades of Gray"